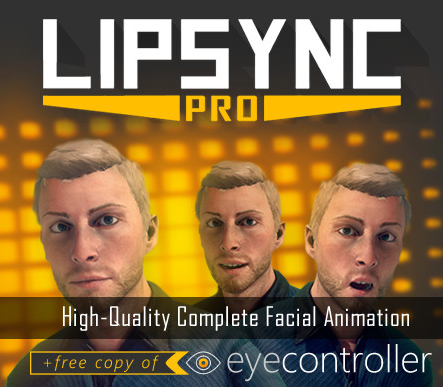 LipSync Pro 1.0 from Rogo Digital brings phoneme-based lipsyncing to Unity. Features include autosync, adjustable phonemes from multiple blendshapes, emotion and gesture tracks that cue with dialog, and an eye-focus and blinking system. Support for Adobe Fuse figures is built in, with additional support coming as modular presets for simple setup of popular avatar systems, including UMA and Morph3D figures.